Allergy Warning: Contains Wheat, Egg, Sesame. 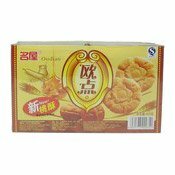 Ingredients: Wheat Flour, Vegetable Oil, Sugar, Egg (4%), Sesame Seed, Salt, Food Additives (Sodium Bicarbonate, Ammonium Bicarbonate), Raising Agent. 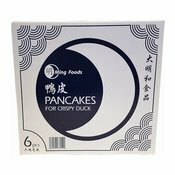 Simply enter your details below and we will send you an e-mail when “Crisp Cake (歐點合桃酥)” is back in stock!